Wineries Are Going to the Dogs | Woof Report | The best email newsletter for dog lovers. It’s a beautiful weekend day and you’re looking for a new adventure to enjoy with your dog. Look no further than your nearest winery! Pack a picnic, load up the car and escape from the city with a visit a local winery. Walk through the vineyards and relax while taking in scenic views with your dog, and get in a little wine tasting, of course. Many wineries around the country welcome dogs since it’s a known fact, dog and wineries go together! It’s apparent in the dog-inspired wine names and labels, dog-themed events help at many wineries and the fact that many vineyards have their own resident winery dog, many with the coveted job of Official Greeter. Whether you’re nearby one of the towns listed below or planning a dog-friendly road trip– add one of the stops listed below to your plans for a fun and relaxing day. Search online to find more dog-friendly wineries – or Suri or Alexa can help you in a pinch. Please be sure to add your favorite dog-friendly winery in the comments section below. Also, keep in mind that while dog-friendly wineries allow well-behaved dogs on their grounds, they must be leashed and most wineries do not allow dogs in the tasting rooms. Find out the winery’s policy and follow it to ensure dogs remain welcome. Be sure to pack food and water plus bowls for your pup too. In the Finger Lakes region, New York’s largest wine producing area, visit Hunt Country Vineyards, and you and your dog will be welcomed by any of the official winery greeter pups, all of which are adopted or rescue animals. Relax and make a day of it while you sample wines from 100% New York State grapes. 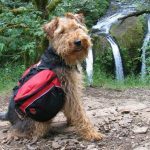 Find other listings for dog-friendly wineries in the Finger Lakes region at the GoPetFriendly blog. With house red and white wines that feature the winery Golden Retrievers on the labels, there’s no doubt that Barrel Oak Winery welcomes dogs. Just an hour outside of Washington DC, escape to the vineyards and enjoy wine tasting, picnicking and more, where leashed dogs are even allowed in the tasting room. At Talon Winery at historic Fair View Farm, dogs and their people are welcome to stroll through their vineyard and take in the scenic views of rolling farmlands. Plan your visit to coincide with the complimentary summer entertainment. Dog-friendly Round Peak Vineyards is located in the Yadkin Valley in the foothills of the Blue Ridge Mountains. Pack a picnic, enjoy the wine, walk through the vineyards and even let your pup roam in a special fenced-in area just for dogs. Check their events calendar and plan your visit so it includes a special summer event. With more than 400 wineries located in Napa Valley, many of which are dog-friendly, it’s hard to choose just one to visit. 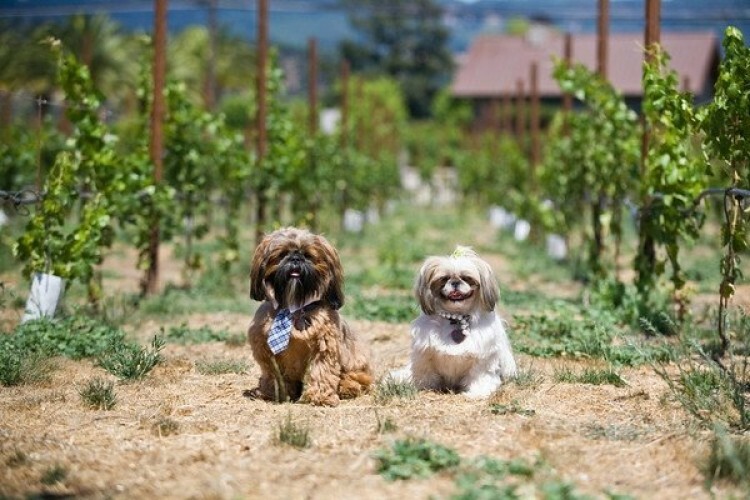 Before you go, visit Napa Vintners and grab their listing of more than 100 dog-friendly wineries. Local top dogs would tell you to include Dutch Henry Winery, with its resident Airedales and Pugs, and V. Sattui Winery with its large cheese shop and deli, to your must-visit list. Just like nearby Napa Valley, Sonoma offers many dog-friendly wineries, so visit SonomaValley.com for a comprehensive and current listing and make sure a stop at Mutt Lynch Winery is on your itinerary. Perhaps the most dog-centric of all wineries around the country, it features dog-inspired wine names and labels and supports local and national animal rescue organizations. Visit the tasting room, naturally open to dogs, and don’t miss the annual Dog Days of Summer fundraising event held in August. Bring your dog and relax at the Cave Vineyard. While dogs are not allowed inside the natural cave wine cellar, they are welcome to enjoy the scenic views of the vineyard and enjoy a picnic on the grounds – pack your own or find all you need for one at the winery. While you’re in the area, check out the dog-friendly Charleville Vineyard Winery & Microbrewery too. Check out the popular Breaux Vineyards in Northern Virginia, dog by your side. Enjoy the scenic views of the Blue Ridge Mountains from the tasting room, expansive patio and landscaped terraces, and of course, the award-winning wines. Plan ahead to attend the Dog Day Celebration held each year (planned for August this year), a fun-filled day benefiting animal rescue efforts. While vineyards in the Walla Walla wine region grow in both Washington and Oregon, almost all Walla Walla wineries are located in Washington. And with more than 100 wineries in the region, get a listing of close to 30 that are dog-friendly and make your plans! Thank you to Kira Stackhouse from Nuena Photography for the photo. This Woof Report tip originally appeared on PawNation.com. Originally published in 2011; reviewed and updated June 2017. 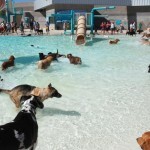 Dog Pool Days are Here, Find One in Your Area! 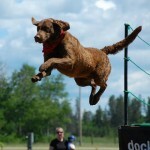 Can Your Dog Fly? She Can With Dock Diving! 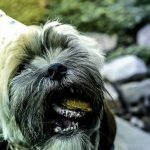 Today is the One-year Anniversary of WoofReport.com! 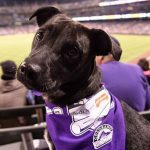 Take Your Dog to an MLB Baseball Game, 2018 Dog Day Game Schedules are Here! have dog blog will travel at celiasue.wordpress.com offers first hand reports of visiting pet friendly wineries in calif. with cici dog. 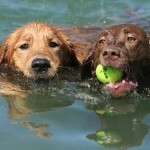 Pingback: 27 Ideas for Summer Fun With Your Dog | Woof Report | The best email newsletter for dog lovers.